JANUARY 15, 2019- MFP - Market Facilitation Program- Part D of CCC-910 form signature deadline. ATTENTION: OPERATORS - CALL THE FSA OFFICE TO SCHEDULE AN APPOINTMENT FOR 2019 FALL ACREAGE REPORTING. USDA will begin mailing ballots to eligible agricultural producers for the 2018 FSA county committee elections on Monday, Nov. 5, 2018. Producers must return ballots to their local FSA offices by Dec. 3, 2018, to ensure their vote is counted. "County committee members represent the farmers, ranchers and foresters in our Colorado communities," said Navarro. "Producers elected to these committees have always played a vital role in local agricultural decisions. It is a valued partnership that helps us better understand the needs of the farmers and ranchers we serve." Farmers and ranchers who supervise and conduct the farming operations of an entire farm, but are not of legal voting age, may also be eligible to vote. Farmers and ranchers will begin receiving their ballots the week of Nov. 5. Ballots include the names of candidates running for the local committee election. Voters who did not receive a ballot can pick one up at their local FSA office. Ballots returned by mail must be postmarked no later than Dec. 3, 2018. Newly elected committee members will take office Jan. 1, 2019. For more information, visit the FSA website at www.fsa.usda.gov/elections. 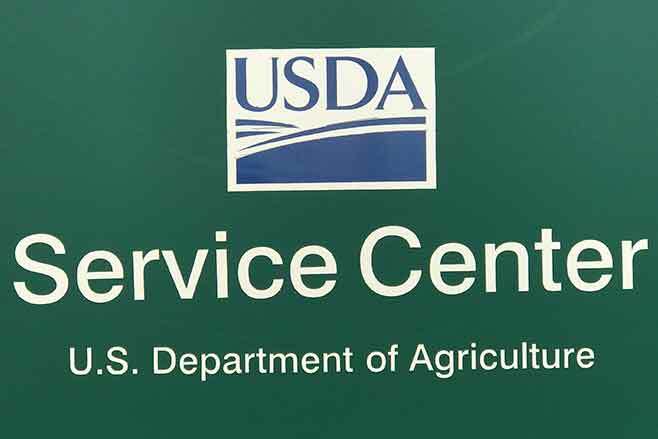 You may also contact your local USDA Service Center or FSA office. Visit http://www.farmers.govto find an FSA office near you. In Kiowa County, Destiny Duff Haase who is currently serving as County Committee Chairperson on the COC and represents producers in Local Administrative Area 2, she will be seeking re-election for a second term. Duff and her husband Jay have three children, she farms alongside her husband and brother. The family produces mainly dryland wheat and grain sorghum. Throughout the year the FSA office will complete several successions in interest CRP contracts due to mostly sale of the land. Person(s) becoming successors to active CRP contracts need to aware of the following responsibilities when signing the CRP-1 contract. status of permanent cover, has it been seeded. is the permanent cover considered established? has the required contract management been completed? Remember, if the contract is terminated for non-compliance the current CRP participant is responsible for refunding ALL payments that have been issued for the contract, including all incentive payments. applicable, for the participant throughout the CRP-1 period. that undesirable vegetation, weeds (including noxious weeds), insects, rodents, etc., that pose a threat to existing cover or adversely impact other landowners in the area are controlled.